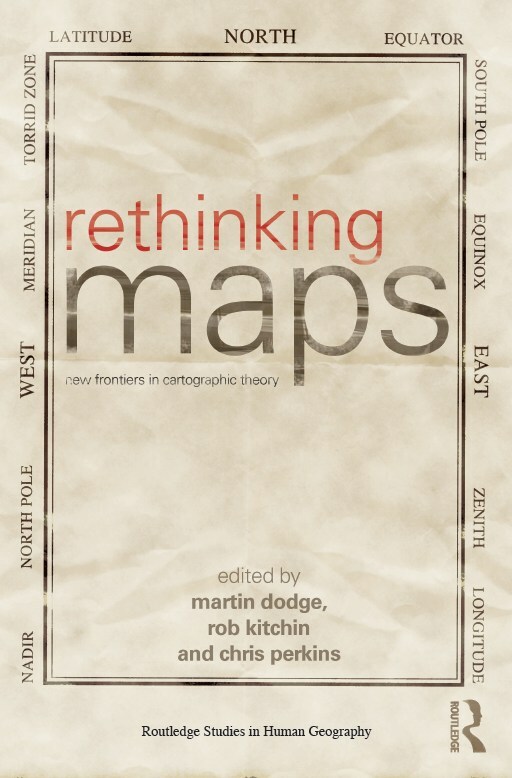 We've persuaded Routledge to do a paperback version of our 2009 edited collection Rethinking Maps. This was only available as an *expensive* (over-priced!) hardback and, yet, despite the £90 price tag the small print run did sell out. The pb version should be out in May and cost about £25 - some details are here. More details on the contents of the book - which are unchanged - can be found on my blog post from July 2009. By unplanned happenstance it seems like I will have two new book out in a single month. April should see the publication of Code/Space: Software and Everyday Life (co-written with Rob Kitchin, published by MIT Press) and The Map Reader (co-edited with Chris Perkins and Rob Kitchin, published by Wiley-Blackwell). They have both taken a while in production to finish and be printed. They are both available for pre-ordering through your favourite boo kshop.